The Parker Pond is a Class C water in the bottom corner of our campsite. We have carried our various maintenance tasks to our pond area in 2016. We have 6 kayaks, plus an additional one for the leader in charge. 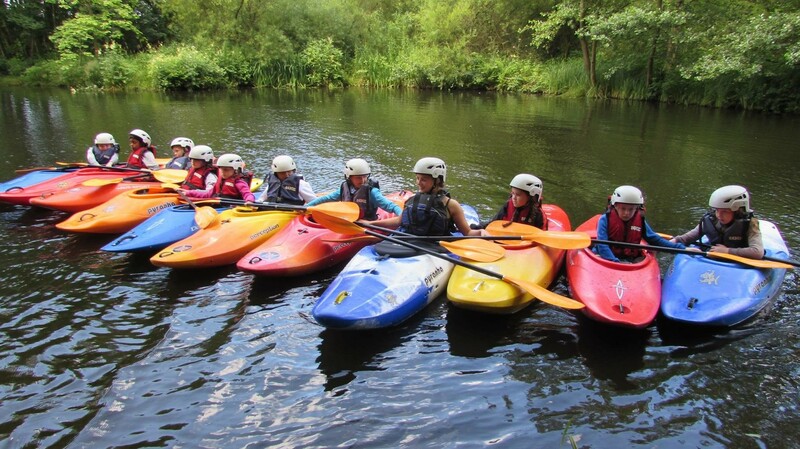 The Parker Pool used for kayaking is a Class C water, therefore no formal qualifications are required to leader the activity. However, we do require permission in writing from your home District Commissioner to be presented to the Duty Warden on arrival before the activity can take place. This written permission should include the name of the leader in charge of the activity and that they are solely responsible for leading the activity at all times. (See POR FS120623 for more information with regards to water activities, excluding swimming on waters regarded as Class C).